My name is Chenyu Zheng, currently in San Francisco, a marketing creative by day , and a travel writer at night. I've been blogging for 10+ years with 300k+ followers in China. Due to high cheek bones, my readers in China fondly call me "Ms. Apple" (苹果姐姐）. I finished <365 Days On Airbnb> project on 9/30/2016, after having stayed in 100+ homes in LA, SF, NYC, Austin, Portland, Seattle, Lake Havasu, Lake Tahoe, Mammoth Lakes, and as far as Beijing, Shanghai, Mt. Emei, Tokyo, Yoshino, Singapore, Mexico, Cuba and Colombia. Besides unique home and hosts, I experienced a full spectrum of humanity: empathy, conflict, inter-dependence, culture conflicts etc. A chronicle of the experiences, “606 Days Without A Lease《不租房的606天》,” is set to be published in September 2018 by CITIC Press, one of China’s top publishing houses. 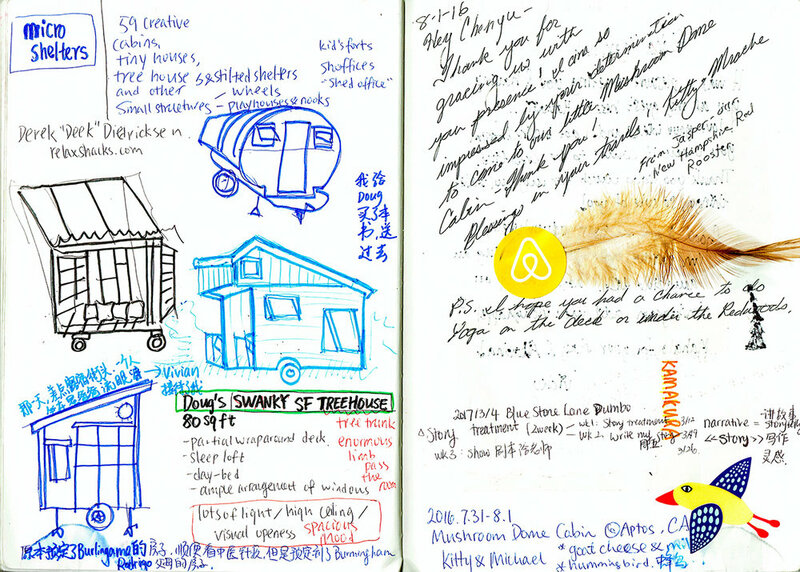 Airbnb's co-founder and Chief Product Officer Joe Gebbia left a note in Chenyu's Host book "Thank you for living and exceeding the original vision of Airbnb." Airbnb CEO Brian Chesky calls Chenyu a Super Guest and Chenyu presented her story at Airbnb Open 2016. 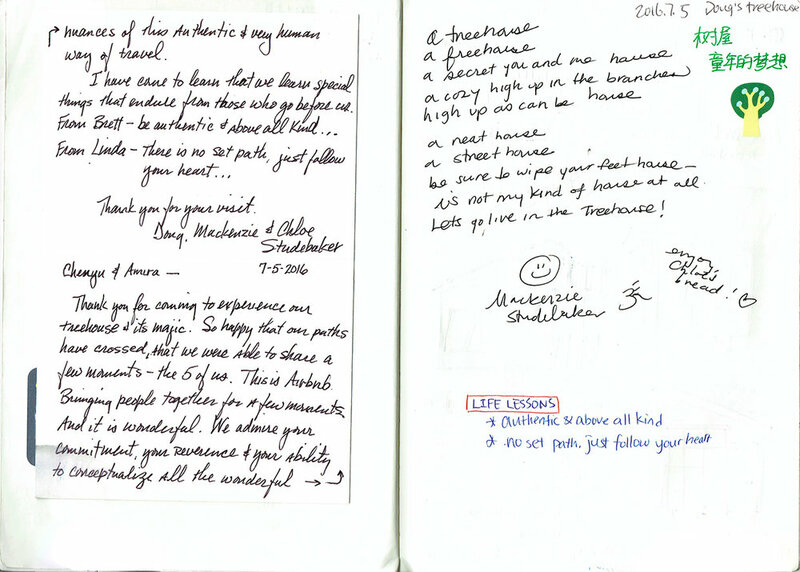 Host Book: instead of a guestbook, I have kept a host book along the journey with notes from hosts. This is the most valuable item I own. While living with artists, I saw first hand what it means to be a full time artist. They reassured me that I have a talent in art and asked me to continue painting. One of my Airbnb rituals is to leave a note for my hosts and to make it personal, I often include a sketch of their pets. Eventually, I started painting pets in exchange of stays. Co Hosts with Paws, a series of acrylic paintings of pets that co-hosted Chenyu along the journey. On display at the Airbnb HQ. Sign up to receive travel updates, unique listings and Airbnb tips.